I was fortunate enough to recently have the opportunity to interview Shonda Schilling (author of “The Best Kind Of Different”), on the topic of Aspergers Syndrome. For those who haven’t heard of her; Schonda is the mother of four children (including a boy with Aspergers Syndrome called Grant) from Medfield, Massacheusetts. Schonda is also married to ex Boston Red Sox All Star Curt Schilling. To be honest I was amazed that it was so easy to set up an interview and speak with Shonda Schilling about her book “The Best Kind Of Different” and issues relating to Aspergers Syndrome. Because she is a very, very busy woman in a number of areas. As well as being the mother of four children she is a very active campaigner/speaker for children on the autistic spectrum, and works tirelessly on other charitable projects too. Tip 1. Talk to someone – Shonda told me that she spent 3 or 4 painful months of isolation following Grant’s diagnosis of Aspergers. She did not talk to anyone about it, until one day she summoned the courage to call another parent in her town who had a son with Aspergers. Once she did it was a huge relief as this parent was able to offer some great information about Aspergers, and hope for the future. And Schonda told me that in hindsight she wished she had made this call A LOT sooner. Tip 2. Be proactive – In “The Best Kind Of Different” Shonda recalls how on Grant’s first play date, Grant left the other child to play on his own in the house whilst he went off and played with other toys. Schonda made sure that the other boy was made to feel welcome and comfortable in the home, even if Grant wasn’t physically with him. Shonda sees it as a really important role of the parent to be involved in proactively setting up and managing such situations, to give the child the best possible chance of benefiting from experiences such as play dates. Tip 3. The 1-5 Scale – This scale was not originated by Shonda, but taught to her by someone at the Aspergers Association of New England. It is basically a method of teaching the child with Aspergers how to react in certain situations; because the child is unlikely to know how to do this instinctively. Shonda gave me the example of her son being asked to eat broccoli and then getting very upset in his reaction to it. And that the scale, teaches him that such a situation isn’t a major “big deal”, so is a 1 or 2 on the scale and not a 4 or 5. For example a 4 or 5 score would be calling 911 as the house is on fire, to give this some further context. Tip 4. Dog Trainers make the best parents – Shonda and family have 4 dogs in total, and Grant in particular gains a great deal from his interactions with the dogs. Shonda feels that the unconditional love of animals can be a hugely positive factor for kids on the autistic spectrum. And she also went on to tell me that, in her opinion, dog trainers make the best parents. That’s because everything they focus on doing with the dogs is put in very positive terms and they are praised all the time. That is something that we should all be aware of as parents; to be using praise and positivity to parent our children. Tip 5. Personal bubbles – The concept of personal bubbles is one that Shonda learnt from staff at Grant’s summer camp with Youthcare (an organisation which specializes in summer camps for children on the autistic spectrum, based in Massacheusetts). Basically everyone has a personal bubble – which is the personal space that they want around them at any one time. And if someone is feeling happy and friendly one day, then the bubble will be smaller, allowing you to get physically closer to them. If they are upset or angry it is likely that their bubble will be larger, meaning that you shouldn’t get too close. I think this is an excellent visual approach to teach kids with Aspergers about appropriate personal space. These are just 5 of the many tips that Shonda Schilling revealed in the interview. She also told me the fascinating story of how Aspergers has helped to shape and develop her and her whole family in positive, if slightly unexpected, ways over time. Can you help me with coaching young adults with Aspergers on job search after college? Graduating high school or college is a big step for the young adult with Aspergers. Job-hunting follows graduation and the process is not always easy. It is important for the young adult with Aspergers Syndrome to be prepared for everything a job search entails. Also, if your teen has graduated from high school and has entered college, the transition to adult education should be addressed. Moving into the adult world takes special preparation. Assisting your teen or young adult child with Aspergers job hunt can be a rewarding experience for both parent and child. Finding the right resources will make a huge difference in the process. Here are some suggestions that may help make the job-hunt successful. * Career counseling will help your child find a career that is well suited to his needs and interests, as well as his strengths and weaknesses. Choosing a college major that is in tune with your child’s personality is essential for his success. Once he has graduated, career counseling services can help him find possible employers. * Fellowships or apprenticeships may be available to your child after graduation. These programs offer positions in a chosen field. The applicant gains a set amount of time and experience before moving on to a full time permanent position. These programs give the new professional (or student) a chance to learn first hand on-the-job training that will make an excellent addition to his resume. * Basic living skills are very important for the new college graduate. Personal hygiene, time management, basic household chores, and banking skills are just a few of the necessary basic living skills that will help during a job search. Even if your young adult child still lives at home, now is the time to make sure he has mastered these basic living skills. If not, begin working on these skills immediately. * Interview skills can make or break the job search. Some colleges offer interview skills training. If your child’s college does not have these classes, check with your local state career center, community college, or technical school. You may also find books and videos that help teach the importance of dressing for success, eye contact, communicating your reasons for applying, and many other essential interview skills. The video, Asperger Syndrome: “Transition to College and Work” by Coulter Video is a great tool you can use to help with your child with Asperger’s job hunt. “I want to thank everybody who sent me a post. It took almost 2 weeks of reading. It was so cool to see that all the post came all around the world. I read some from Ireland, U.K., Scotland, Australia, New Zealand, South Africa, Norway and Canada. When I read this post, my reaction was not of sadness anymore, it was more rage. So many people told me about their or their children’s experience. It was awful. How could there be so many people out there who don’t care about other people feelings. Is this the new trend? The post gave me so much encouragement and hope that there are people out there who actually care. Maybe not around here but throughout the world. My mom and dad and I sat down and read them. This was the first time I had ever seen my dad cry. I looked at him and I couldn’t believe my eyes. I asked why he was crying because I went through this not him? He told me it just hurts him to see all the pain the other parents were going through and how relates it to me. To be honest I really still do not understand. My mom on the other hand printed some of the articles to be place on her fridge so she can always remember how many people had helped. I have made new face book friends one I talk to all the time. It’s weird, she actually thinks and feels like me. I wish she was in my school because I think we could be good friends. So I guess people are wondering what happened after that day? Well my parents went to the school to talk to the teacher and the principal. I waited outside. They were suppose to have a private conversation, but left the door open so I could hear everything they were talking about. My Dad was doing most of the talking and my mom talked and cried. (I really wish she would not do that at times it’s real embarrassing!) I overheard them discuss what was happening to me in class. My teacher said that I was just the one picked in class that I was “uncool” so the rest just followed. She had noticed that I was being alienated earlier. My mom jumped down her throat by saying if you noticed this earlier why she did not put a stop to it. She had no reply. I won’t go on with all the details, but they (the teacher and principal) suggested that we have an intervention in the class. Just what I wanted, put myself in a more difficult situation where I have to face the class again. My parents agreed, I know my mom was angry when she left the meeting because my teacher said to her I understand you’re in “Momma Bear” mode. I know she wanted to say something but she just walked away. So that afternoon my teacher held a meeting where I was to tell everyone, and I mean everyone what they had done to me in the past. I was petrified. Some of the kids said they were sorry (some you could tell did not mean it) some said or they were just joking and one cried and said how sorry she was and hugged me. After this meeting was over and we left class one of the girls came up to me and said “you have way more emotions than I do and I’m a girl” and laughed as she got on the bus. My son with Aspergers is very smart but has really challenging behaviors, so they keep him in a Behavioral (EBD) model classroom. He’s not being challenged educationally. Behaviorally I believe he’s not getting any better, perhaps worse… I don’t know what to do! Parents of children with Aspergers Syndrome often speak of behavioral challenges. Sometimes the behavior is more of a problem at home, and other times, at school. Occasionally, the challenging behaviors consume the child and the family, causing turmoil. The behaviors must be explained and controlled if the child with Aspergers Syndrome is going to grow up to be a well-adjusted, independent individual. Most parents and educators understand that a typical child must be challenged academically to control boredom and behavioral problems. The same is true for children with Aspergers Syndrome. Children with Aspergers Syndrome will need extra attention to help them learn how to control challenging behavioral issues, and a behavioral model classroom should certainly help. However, if your son is not academically challenged, his time spent in that classroom could be a moot point. There is only so much you can do at home to control challenging behaviors if there is no follow-through at school. Families and educational staff members must work together to correct behavioral issues. It sounds like your son’s school has created a fitting plan for him, but implementation is not up to par. Here are some thoughts regarding your problem. * If you have not done so, request an IEP review meeting. Even though the IEP (Individual Education Plan) is updated once every year and is a legal contract, it can be reviewed and tweaked when necessary. Take your concerns to the IEP team. In addition, be sure to make valid complaints and corrective suggestions to the team. * Brainstorm new strategies for your son’s challenging behaviors. Create a behavioral plan for home and ask that it be used in the classroom. Consult with a behavioral therapist, psychologist, or search for books and videos that can help you with appropriate consequences for these behaviors. * Outside therapies may be available through physician referral. Cognitive-Behavioral is a very successful option for your problem. If a therapist is not available to you, there are resources available through your local Autism support group, your local library, and even the Internet. Families of children with Aspergers can see much improvement by using therapy techniques at home. * If you feel the classroom situation and the attitude of your son’s school is causing more problems than they are solving, homeschooling is a viable option. Many families of children with Aspergers are choosing to homeschool and are doing it with great success. Homeschooling is legal in all of the U.S. states and in many countries. Research the homeschool laws of your area by searching the Internet, your local library, or contacting a local homeschool support group. There are options and answers to your son’s school issues. Research all of your options to find the best possible learning situation for your son with Aspergers Syndrome. 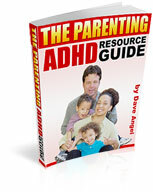 Click Here to Take a Trial Membership of The Parenting Asperger’s Community. Dear Mr. Angel, You definitely deserve your surname. Thousands of kilometers away yet you give hope to me with your every message. Many thanks for being there. Many thanks for not giving up. I think you inspire the parents in this journey. I am sure your messages catch many people at the brink of something. I hope you can fulfill whatever you have in your heart. Hi Dave, I love what you do and how your writing touches our lives. You are funny, practical and your mails no matter how brief are simply striking and hit the nail each time. I am a huge fan. I may gloss over some of my other mail notifications but always open those from you. Thank you. God's blessings through you for people like us are immeasurable. I have been a follower of Dave Angel's for years. He has been a life saver for me and my son who is an Aspie. Thanks Dave when I thought I would lose it and would have a total melt down right along with him. You were only a click away. Well he is alive and off all meds, in high school, online, and doing as well as his brother. You are there and the only one that gives good, simple and practical solutions . . . Doctors don't understand our kids. Dave does. It is impossible to express how much we appreciate your mail. While we were devastated when our grandson was diagnosed with Asperger’s, we now see how well he has been able to adjust with our help. Our help came from you and we really appreciate it! !